2018 Ford Expedition : Prepare! 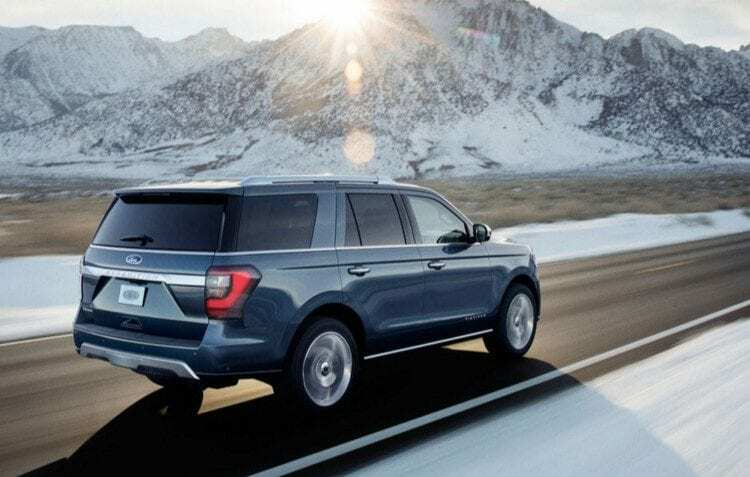 – The Expedition is Ford‘s current full-size SUV which has been released back in 2006, but the actual design of the model dates all the way back to 2003. While the car did change underneath and the engines and interiors have been updated over the years, the basic exterior design is nearly the same as it was more than 13 years ago. As a result, we could see that Ford lost quite a bit over its competitors from GM even though the actual model still is a good car. 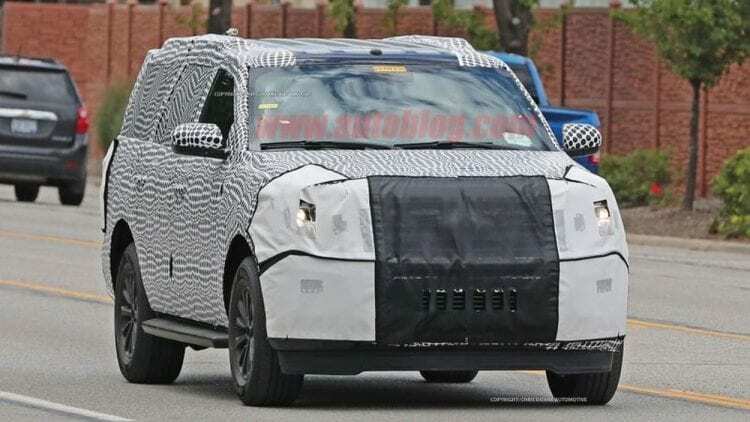 Not too long ago rumors about an entirely new vehicle started to surface and soon after that new car has been spied testing with quite a bit of camouflage. The new model will fit eight passengers and has been introduced at the Chicago Auto Show. The 2018 Ford Expedition will have many new features, more power and will have a larger impact on the market. To add to this, or to reduce, the new version will weigh 300 pounds less due to the lighter frame and new aluminum body. The front end of the vehicle is remodeled mainly by adding a new mesh grille that looks like it may be from Explorer Platinum trim. Ford also borrowed new bracket-shaped headlights from its earlier pickups, and the nose now has chrome bits and pieces. The front end certainly reminds us of other Ford vehicles, but the shape of the Expedition behind the A-pillar has the most resemblance with the latest Chevrolet Tahoe. Only one engine option is offered, and it is the 3.5-liter EcoBoost biturbo V6 with stop-start that is also paired with a 10-speed automatic gearbox. Although we do not have any official information from Ford regarding powertrain, the new model will have more than the currently available 365 hp (272 kW). The Blue Oval automaker also increased its towing capacity and made it available in rear- and four-wheel-drive. The Expedition can now transport up to eight passengers since the length of the vehicle is increased by four inches (10.2 cm) out of which three inches (7.6 cm) were used for wheelbase extension. If this is not enough, the Expedition Max is one additional inch (2.54 cm) longer. The vehicle will double the cabin storage space that it previously featured along with seventeen cup holders. The rear cargo area now also has a built-in fold-out shelf that enables the SUV to have two tiers of storage in the back. With new gadgets inside the cabin, delightful and comfortable traveling is guaranteed. The Expedition features six USB ports, wireless phone charging, dual-screen entertainment system and in-car Wi-Fi. These gadgets serve to make other passengers happy and allow the driver to enjoy the ride. The 2018 Ford Expedition will hit the showrooms this autumn, and as we get closer to it, the Blue Oval automaker will inform us about details like price, horsepower and towing capacity. Here we have some photos of the model in Chicago, so sit back, relax and enjoy the new SUV. Latest reports regarding 2018 Ford Expedition confirms that this vehicle will come based on the new frame and redesigned body that uses a lot of aluminum. The result of these changes is the eight-seat SUV that is now about 300 pounds lighter and brings more space to passengers. New frame allows extended wheelbase to be employed and in this case, we are getting 3 inches longer wheelbase. Both width and length are increased for one inch plus the interior comes equipped with additional tech options. Event in Dallas was the place where the company unveiled the new SUV, and we expect for more info to come from its presentation at the Chicago Auto Show. When it comes to trim levels it seems that the new Expedition will be delivered as XLT, Limited and Platinum models. Additionally, XL version should be offered through fleet sales. If even this is not enough for you in terms of size, you can opt for the Max version that is about 8 inches longer than standard model. Under the hood of the 2018 Ford Expedition there will be no major changes as we will see the same and well known 3.5-liter V6 EcoBoost turbocharged unit but this time it should offer slightly more power. This engine will be paired with ten-speed automatic gearbox that is controlled with a rotary knob. Exact figures are not known yet but as we already said more power is expected. Slight improvements to performances are also coming as a result of more power and reduced weight. This is not all as fuel efficiency numbers should go up and are helped with the automatic stop-start system. Similar to what we will be getting for the F-150 this vehicle should come at some point with both hybrid and diesel powertrains. We have also mentioned that additional tech parts are offered in the interior. Latest Sync 3 infotainment system brings both Android Auto and Apple CarPlay while the wi-fi allows up to 10 devices to be connected at the same time. Since this SUV can transport eight people, it needs more than a couple of USB ports and other power sources. This segment is cowered with six USB ports, four 12-volt outlets, one 110-volt outlet and even the wireless charging. 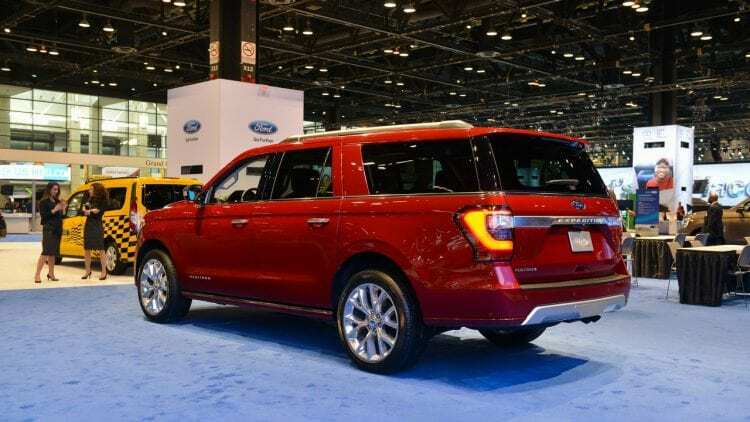 We expect full details regarding 2018 Ford Expedition to be delivered in the next few days, ot to be more precise, during this week as it will be officially unweiled at the 2017 Chicago Auto Show that starts on February 11th. 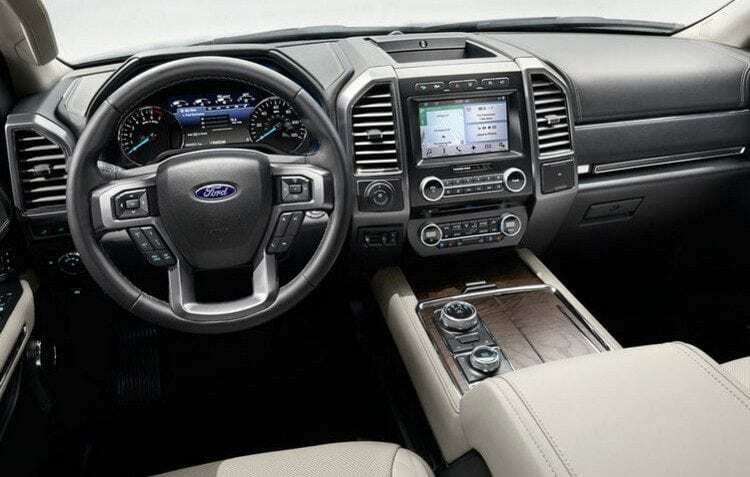 If you are on the market looking for new SUV, you certainly come across the Ford Expedition. This is one of the most capable models in the segment, and due to the high number of rumors we could hear about it, we know that it is also one of the most anticipated. 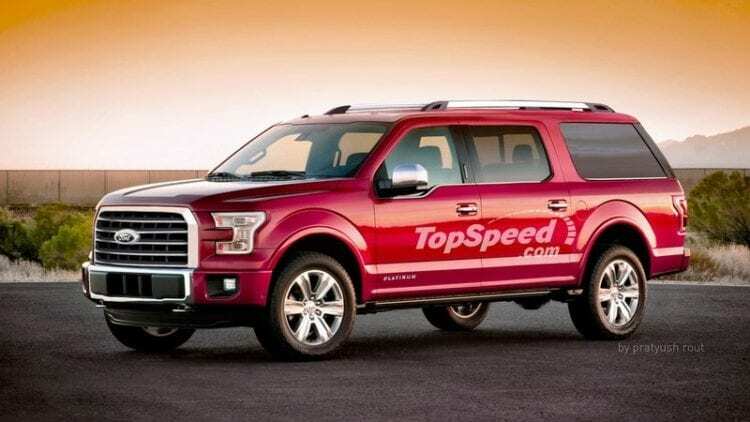 Recently, 2018 Ford Expedition renderings have emerged, and since we only have spy photos at the moment, this is the closest thing to the final version. All the cues that we would expect from a vehicle like this are here, and we can see that the final design, at least on rendering, is heavily influenced by the F-150. It is already known that many bits and pieces for this SUV will be borrowed from the truck. What do you think about this rendering? Could this be the final look of Expedition? 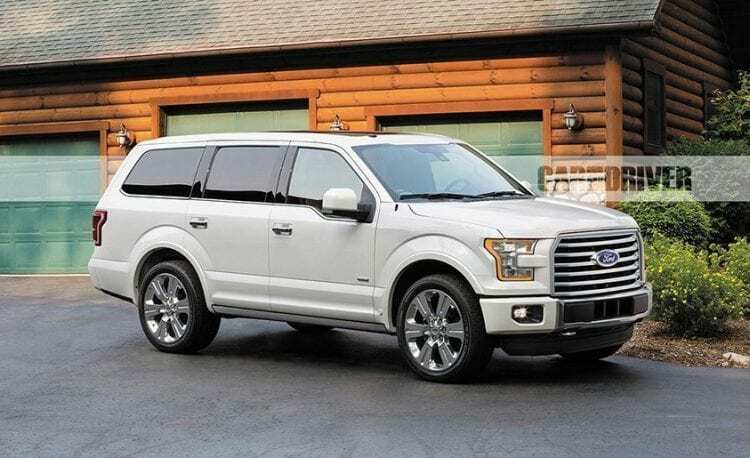 It has been confirmed; the New Ford Expedition will use the F-150 aluminum platform. Slimmed-down and redesigned vehicle will be unveiled during 2017 and offered to the market as 2018 model so be prepared to receive one significant upgrade. The popularity of SUVs is again rising due to the reduction in gasoline prices, but it is a good question how long will this last. We are fully aware that this situation will not be forever so we need to prepare for days where prices will jump to whole new level. On top of this, we have government emission standards that are moving the bar higher and higher, so one of the solutions is to reduce weight with aluminum. If we take a closer look at the market situation, we will see that Expedition is not selling that well compared to competitors. 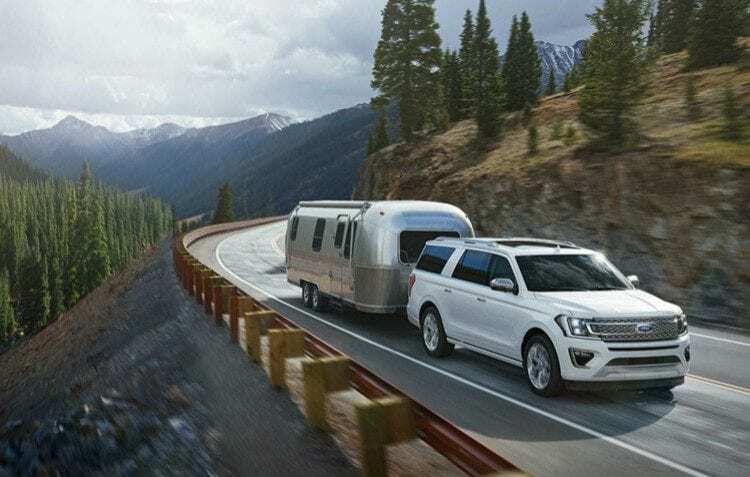 Cumulative sale numbers for Expedition and Navigator are at almost 47,000 while GM managed to ship above 100,000 Suburban and Tahoe models for the same period. Since Ford is prepping full redesign and aluminum platform for 2018 Expedition, it is only logical that it will be able to attract more customers. Changes in the engine department haven’t been announced, but we know that V8 is already out of the game and that EcoBoost units will most likely take over for both base and top of the line trims. Currently, there are no details about the changes and amount of weight that will be shed with the usage of the aluminum platform, but we saw a significant drop in case of F-150. On top of that, Expedition will not be tortured like the truck is, so the durability and strength of aluminum are more than enough for this large SUV. Read also about 2017 Ford Torino! As the popularity of large SUV’s is increasing again and more drivers are getting these vehicles, manufacturers have the need to offer more improvements in the segment. A similar situation is with the Expedition that has been spied with a large amount of camouflage as it will be obviously ground-up redesign. 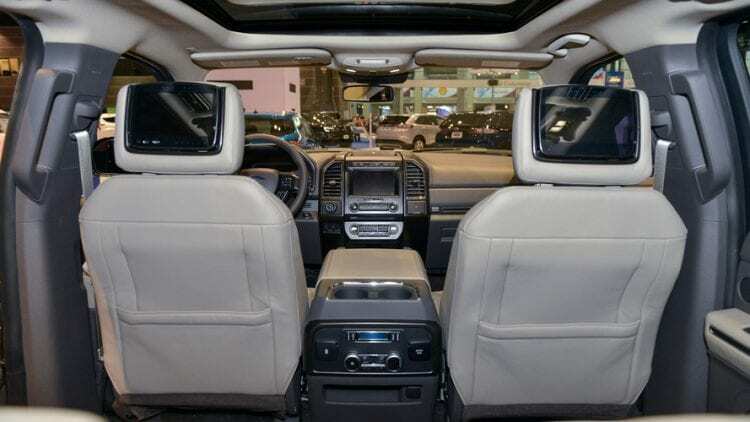 Even we didn’t see new Navigator we expect Expedition to come again as a more affordable twin in the corporate lineup. We can notice similarities between Navigator Concept and vehicle on these spy photos. It is obvious that they share similar design language with similarly positioned windshield, straight belt line on the side and very long rear window. Previous spy photos of Expedition showed SUV that brought front end of F-150 but in a manner, it looked like it is just planted there for test purposes and not to stay much longer. 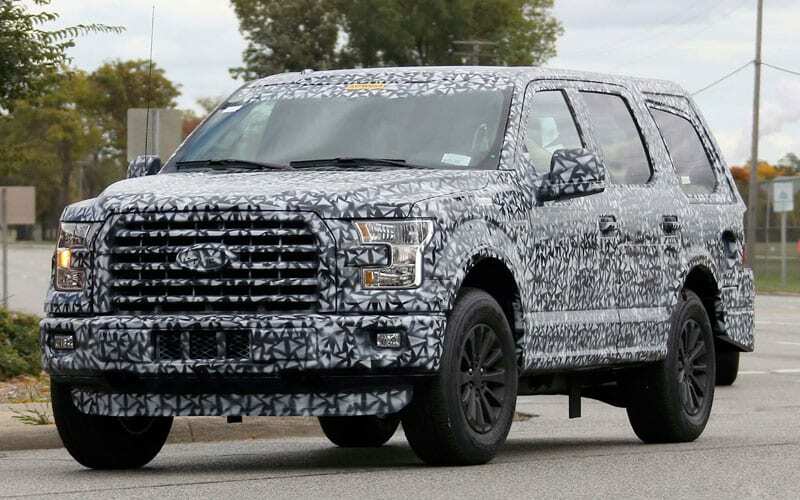 More camouflage at the front is offered so it would hide new grille and headlights that are both smaller than what we are getting from F-150 and previous test mule. Overall impression, even we can’t see everything is that there is a more aerodynamic front segment. 2017/2018 Ford Bronco is confirmed! Read about it! Looking at the back segment, we can conclude that there are non-LED taillights, but we certainly hope and think that Ford will offer LEDs on top models. This pretty much tells the whole story about exterior changes and upgrades. Furthermore, it will be interesting to see what comes under the hood and body panels. Upgraded 3.5-liter V6 EcoBoost engine that we saw in F-150 is expected here. Furthermore, there might be some changes for the base engine, and rumors suggest that 2.7-liter EcoBoost twin turbo V6 could be the weapon of choice here. To be honest, we are not sure if this will happen as we are used to see naturally aspirated units as base and cheaper option. From one of our sources, we could hear that the hybrid version is being prepared and that it will utilize well-known 3.5-liter V6 engine in combination with electric motors and battery pack. With this move, Ford would increase its market share and would be able to approach drivers that need large SUV but are also looking for ways to reduce fuel consumption. When it comes to underpinnings of the 2018 Ford Expedition, the all new T3 platform will be used. Thankfully to this and the fact that lightweight aluminum body will be used it is possible to achieve significant weight reduction. As a result, performances, efficiency, and handling should be improved. That model looked a lot like an F-150 cabin strapped to the back of the older model which could mean that it was just a development mule. Well, a few days ago a couple of journalists managed to spy the future 2018 Ford Expedition once again and this time around the development model seemed to feature a few more new parts added to the mix. So far we know that the upcoming SUV will ditch the old platform in the favor of Ford’s new F-150 platform, so besides the high strength steel, it will also receive the aluminum body of the truck. On top of that, the new 2018 Ford Expedition is expected to offer a revised engine as well as a new asking price of around $50,000 which is almost $5,000 more than before. The price increase will likely show inside and out where the new Expedition might finally ditch the F-150 styling in the favor of something a bit more unique. This would help with sales and with customer satisfaction, especially since all the GM products are different than their truck counterparts. On top of the new design, expect from the car more space inside the cabin, as well as much better materials and more features including Ford’s latest Sync unit and much better seats than those on the current generation. Being still based on a truck platform, the rumored Ford Expedition 2018 will very likely be quite capable in off-road, and it will be able to tow almost as much as the F-150 which is 5,000 to 10,400 pounds. This is a great feature to have for an SUV that will be used as a towing vehicle more often than not and with the help of a newly revised 3.5-liter EcoBoost V6 petrol engine with more than 400 horsepower and 400 lb-ft of torque, the upcoming Expedition should handle pretty much anything you throw at it. Even these are only rumors we think that Ford is on the right path to bring quite a good vehicle that could take even larger part of the market pie. If you find yourself interested in this new model, you can visit the following link for the current model’s specs: 2016 Ford Expedition. Also, read about Ford Atlas and history of this Ford car! Is this the Ford Expedition 2018 Spied in the Wild? Another interesting video, be sure to check it out below. We stumbled upon this photo on Yahoo.com and some additional details regarding the new Expedition SUV. If you take a close look at the photo below, you’ll notice that the vehicle is longer, and its front end reminds us of the F-series trucks. Inside, it will have three rows of seats. Most likely, the 2018 Lincoln Navigator will borrow this design as well, with some minor front end changes. Expect both models to arrive in late 2017, for the prices starting from $47,000 up to $80,000. We also learned that a 2.7-liter twin-turbo EcoBoost V6 will join the 3.5L unit. Competition: GM’s Suburban-based Cadillac, Chevy, and GMC triplets outsell the Ford/Lincoln duo by more than four to one. And somehow the Infiniti QX80, the soon-to-be-replaced Nissan Armada, and the Toyota Sequoia all outsell the aged Navigator. When will you release additional details about new platform and aluminium body? I also saw that newest Expedition for 2018 year loses weight, platform is radicaly an improved. As soon as we find out something, we will release the latest details. We also heard some rumors about a diesel variant, we are gonna investigate that further. Yes, there are a lot of rumors about diesel engines, especially for EU market..so, I am very impatient to read first details. Are you sure for details about EcoBoost engine? I found some rumors that new 2018 Expedition brings V8 4.4 – liter diesel engine…? The rear end at the window section doesn’t have any harmony with the rest of the body. I’m going to be highly disappointed if Ford makes another vehicle with no V8 in it as an option. I’d like to see a 250 or 350 like option…bring back the HD SUVs!!! 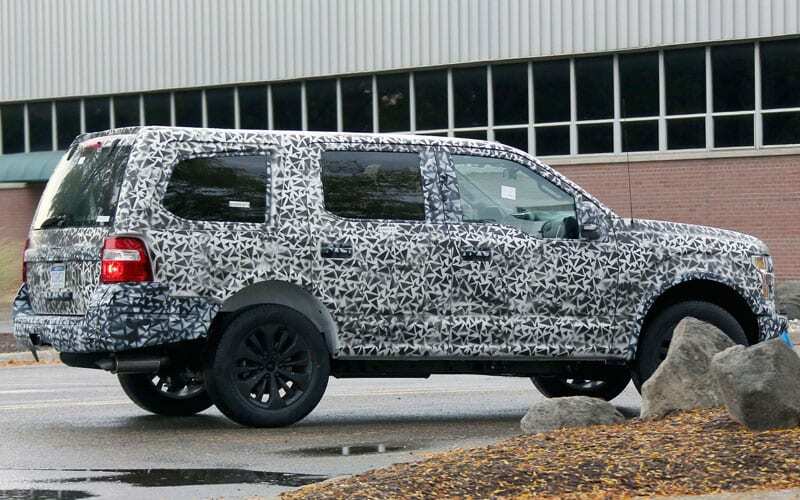 A camouflaged, full-size, Ford-badged SUV found just recently in Dearborn, Mich., near Ford’s item advancement center provides the very best view yet of the upgraded aluminum-bodied Expedition, due out as a 2018 design. A Ford source, speaking on the condition of privacy, stated the car in the spy shots is close to the last variation of the Expedition. The revamped Expedition has Ford’s hallmark dip in the front windows near the mirrors, the very same styling function utilized on Super Duty trucks. The brand-new Expedition seems about the very same size as the present design. Ford shaved around 350 pounds, generally, off the revamped 2017 Super Duty by changing from steel to aluminum. The brand-new Expedition might drop more weight. The car in the pictures reveals really flat surface areas, which is common of aluminum. Due to the fact that the soft metal can divide, it is challenging to mark fenders and other body panels with deep curves. Ford is hoping the next Expedition pick up speed on the Chevrolet Suburban and GMC Yukon XL. In spite of low fuel costs, U.S. sales of the Expedition and Suburban are down somewhat this year. In general, shipments of big SUVs are off 1.9 percent this year. No word yet on the next Expedition’s powertrains or fuel economy, however experts anticipate fuel performance to be enhanced. Even the last 2 generations of the Expedition has a contemporary, discreet and covert antenna, and this takes an action back, and provides it a spending plan appearance. Perhaps due to the fact that this is a test-mule, it has that antenna, or perhaps a lower-trim design might have that type of antenna, and a higher-end design as a more modern-day, and more concealed antenna, something that Toyota appears to carry out on SUV and minivan designs. More trim options would be great. 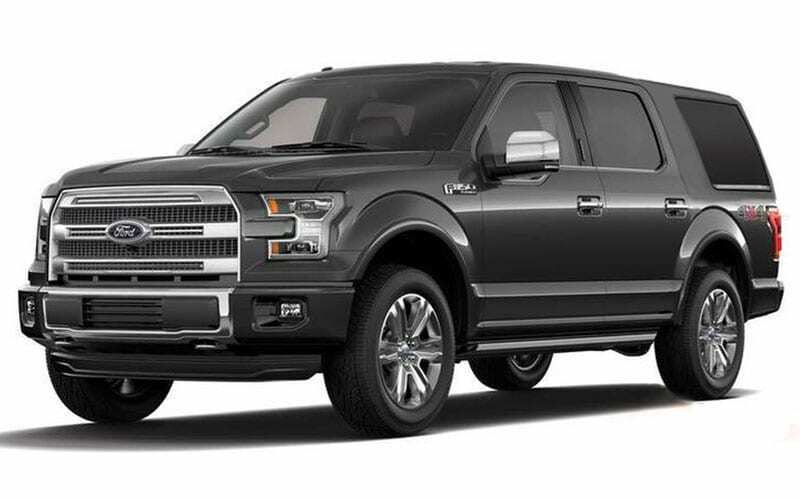 Can pick any package from 2015 f-150 (platinum, King Ranch, Lariat – or EB) and add an FX4 upgrade. I thought that new Expedition will be coming as 2017 model. Will have to wait a little bit longer for the best in the class vehicle. Ford Bronco is still a matter of fiction and it is still unknown whether it will ever be released to the market. There are only some rumors about the 2020 Ford Bronco, but only time will tell if those are true. This large SUV is so typically American. Huge, spacey, yet so cozy. It is a family car and an off-road monster at the same time. Myself and other Americans, I believe, are going to love it, not so sure about Europe. People there have different taste, fuel price is not the same, and add diesel-petrol preference to that. Just keep it exclusively to north America! 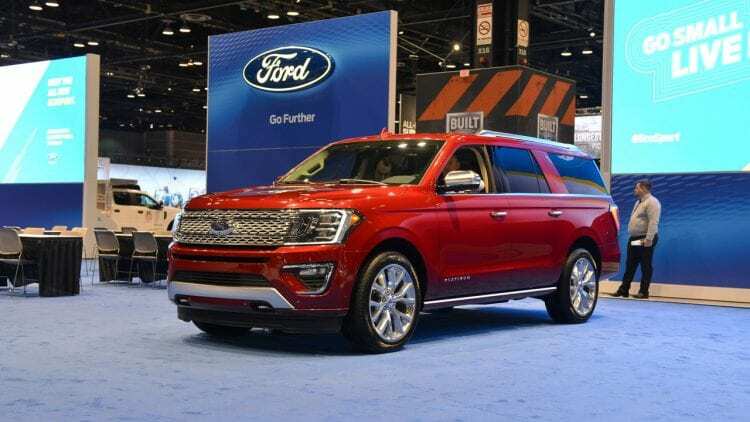 Chicago and Manteno motorists have actually been asking a growing number of about the long-awaited 2018 Ford Expedition redesign, so here’s everything we understand. 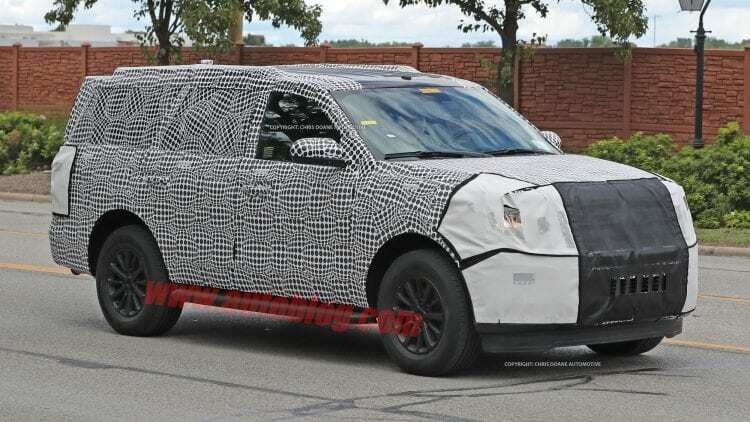 A prototype of the next-generation Ford Expedition has actually just recently been spotted near the advancement center in Michigan, so there’s more details than ever worrying exactly what is forming up to be an incredible SUV. The most amazing news is that the 2018 Ford Expedition is anticipated to come with an aluminum body. The prototype showcases a comparable front end to the popular F-150, which changed the trucking market with an aluminum body of its own. It makes sense for Ford to extend that innovation into the SUV market. Absolutely nothing has actually yet been validated by Ford themselves, however this modification is looking ever more most likely. Market experts do not anticipate the 2018 Ford Expedition to eliminate the present 3.5 L EcoBoost engine. Obviously, the drop in weight produced by an aluminum body implies that Chicago and Manteno motorists would experience greatly enhanced performance scores and a much sharper drive. We may likewise see an added non-turbo engine supplied as an alternative. This would assist attract motorists who value effectiveness much more than power and ability, and would make a welcome addition to the lineup. With around 2 years up until the 2018 Ford Expedition strikes Chicago and Manteno car dealerships, motorists on the lookout for a remarkable SUV might still do no much better than the 2016 Ford Expedition. The present design is fitted with a 3.5 L EcoBoost as basic, providing 365 horse power, 420 lb-ft of torque, and the capability to tow an optimum of 9,200 pounds. Ability is integrated with functionality thanks to a Best-In-Class optimum freight area of 130.8 cubic feet, and advanced functions like the updated SYNC 3 infotainment center provides motorists an advanced driving experience. When it is ultimately launched, the 2018 Ford Expedition is anticipated to resist and turn heads expectation. For additional information as we get it– or to discuss the 2016 Expedition– simply get in touch with among the employee at Terry’s Ford of Peotone today. We want to see our clients from Chicago and Manteno quickly. The Ford Exploration has actually definitely gone through some modifications throughout the years with Ford. From their very rounded body shape with their launching in 1997 to their extremely square Explorer-mimicking shape a years later on, the 2018 Ford Exploration prototype plannings to include some more body modifications once again to be absolutely distinct for 2018. The front end of the 2018 Ford Expedition prototype appears to simulate the brand-new F-150s that are readily available now, however likewise includes a rather blocky back end, which looks rather like a Bronco-style end to this full-size SUV. It’s anticipated that Ford will include their aluminum body parts into the 2018 Expedition, as they finished with the existing F-150s to assist decrease weight and enhance fuel mileage. While the existing F-150s simply have aluminum door panels, the future Expedition must have a mostly aluminum body frame. The 3.5 L EcoBoost V6 engine must be a part of the 2018 Ford Expedition’s reworking, although it’s possible that an even smaller sized engine, such as the 2.7 L EcoBoost, might be part of the 2018 Expedition’s offered choices. The lighter Exploration integrated with the smaller sized engine would ideally provide some enhancements to the fuel mileage! Ford will likewise likely integrate their present security innovation into the Exploration, however we look forward to seeing brand-new innovation. With the squared Bronco back, the 2018 Exploration might attract Bronco lovers in addition to F-150 fans when it comes to our Top dealer place. When it’s time for your next full-size SUV at Salerno Duane Ford in Union County, think about the 2018 Ford Expedition! Power source of the 2018 Ford Expedition comes from 3.5-l EcoBoost V6 engine. Contrary, brand-new Expedition will be more cost-effective than prior to with combined mileage perhaps on 20 mpg. We still do not understand if they are going to utilize it on the 2018 Expedition. Kinda weak on the glass…looks like a lot of blind spots. I hate steering wheels so the sooner those are done away with the better. You simply cannot “drive” something this big. Towing is weak, especially compared with the new F450…and the visuals as far as electronics still look pretty bad. Much better looking and engineered vehicle than the original but still compared to the pickup truck line appears to have a long way to go. The 2018 F-150 will have a diesel, so more likely for Expedition too.